This excess blood is actually required for the muscles to perform optimally and totally necessary for power, strength and endurance. You just need to create more space in the forearms for the excess blood to be contained. The 4Arm Strong was designed to pin the forearm muscles in their shortest position and push them in the opposite direction of the forearm stretch. The key in this aided stretch is the consistent pressure and stationary position of the part that contacts the body. Aided stretch is what expands the fascia, which is the lining of the forearm compartment, creating more space for the excess blood to be contained. 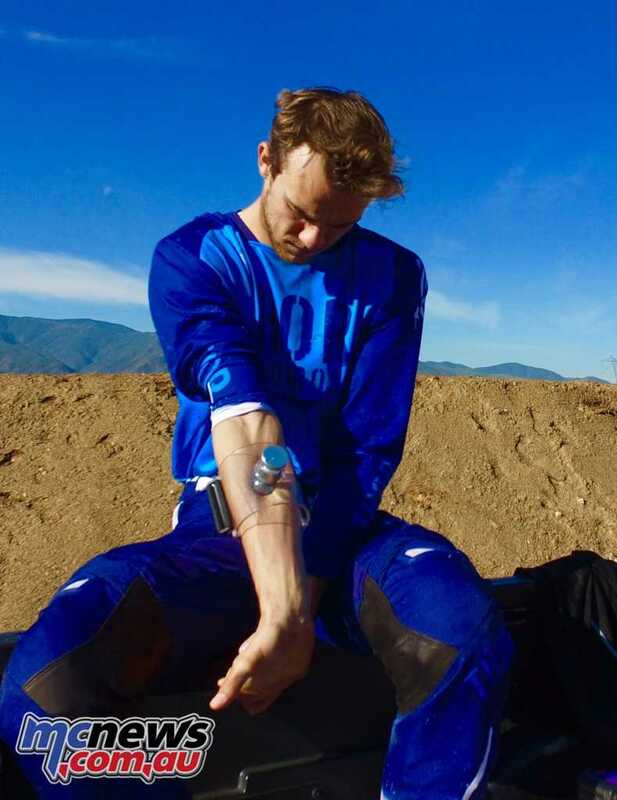 Made from tough, yet optically transparent injection molded thermoplastic polymers and lightweight 6061 aluminum used throughout the medical industry, the 4Arm Strong attaches easily to the forearm with a quick Velcro fastening system. 4Arm Strong has been very successful in the US, winning six AMA National MX/SX titles in the last two years. 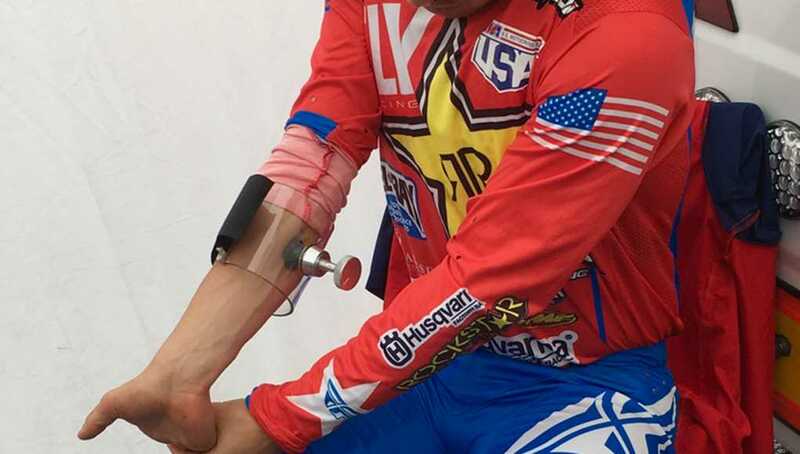 Lee Ramage who was a pro MX rider himself created the 4Arm Strong device to not only eliminate arm pump but to also increase grip strength by up to 30 per cent. 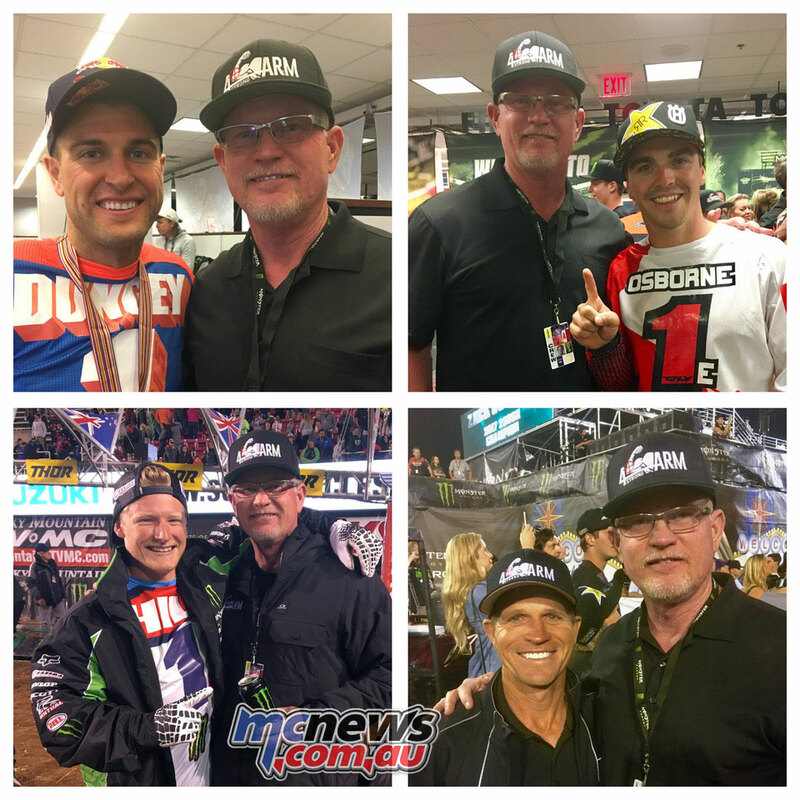 Professional riders using the 4Arm Strong include Marvin Musquin, Jason Anderson, Chad Reed, Steward Baylor, Ryan Sipes, Jonathan Rea, Marc Marquez, Jorge Lorenzo, Chaz Davies and Jared Mees, to name just a few. The 4Arm Strong is being used by all the top US MX and SX riders, and even World Champion Moto GP riders are using them. They are imported by McLeod Accessories and available through many motorcycle stores.